Love teams. You love them or you hate them, but most of the time, we love them. 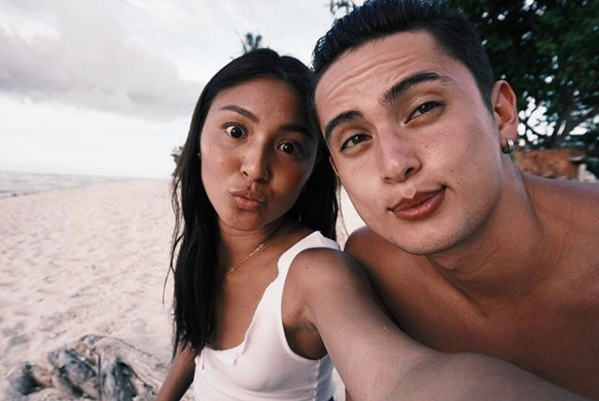 There have been many different celebrity love teams through the years, but some of them will be loved forever, even some that no longer exist. We asked a bunch of people who their favorite Filipino celebrity love teams are or have been, and we compiled them in this listicle. Did your favorite love team make the cut? Richard Gutierrez and Angel Locsin were a popular love team in the mid-2000s, starring together in movies like ‘Kuya’, ‘Echo’, ‘Mulawin’, ‘Let the Love Begin’, ‘I Will Always Love You’, and ‘The Promise’. They were last seen together in the fantaserye ‘La Luna Sangre’. Eunick Nobe shares that she loved their shows and movies together, particularly ‘Mulawin’ and ‘Let the Love Begin’. “It was the first Filipino movie I watched and cried to,” she laughingly admits. Sadly, for fans of this love team, their reunion movie, which was supposedly also going to star Angelica Panganiban, was put on hold. Who hasn’t heard of AlDub? AlDub once took the country (and even other countries) by storm after they appeared in the Kalyeserye portion of Eat Bulaga on GMA, bringing kilig into the households of many. If you love these two together, do not fret. Last year, Alden had told fans that they had not yet put an end to their love team, so there is still a chance we might see them together again. We don’t think Arjo Atayde having admitted that he and Maine are officially dating should automatically put an end to their on-screen love team. After all, it’s all just for showbiz, right? Judy Ann Santos has been paired with many handsome celebrities on-screen, including Wowie de Guzman, Leandro Munoz, Robin Padilla, and Rico Yan; but apparently, the fan favorite love team is Judy Ann with Piolo Pascual. 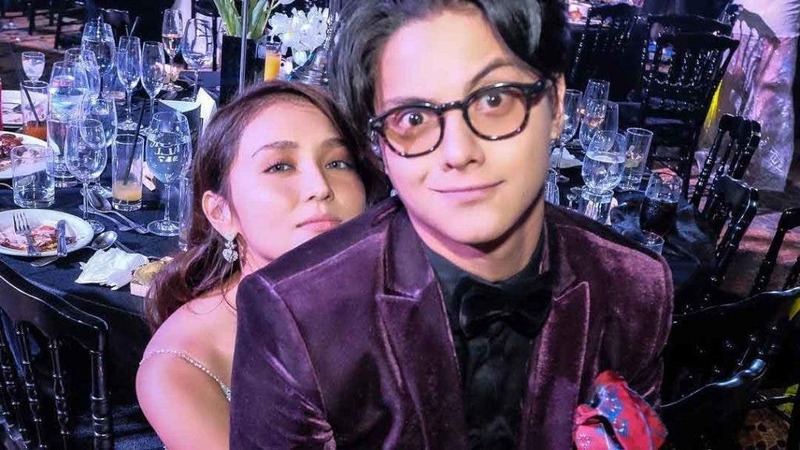 In fact, after a clip of them meeting in an elevator during the ABS-CBN Christmas Concert in Araneta went viral late last year, fans have practically been begging for a reunion movie of the two. Edward Barber and Maymay Entrata are known for being on season 7 of the Philippine reality TV show ‘Pinoy Big Brother’, where Edward placed fourth and Maymay came out as the big winner. Fans loved this love team so much that they were actually one of the top trending topics on Twitter last year. It helps that the two are incredibly sweet to each other, in general. Edward has joined Maymay’s family on vacation, for one, and Maymay has gushed about Edward several times and supported his acting career like no other. After Maymay’s successful Dubai fashion show stint, Edward also wrote her a super sweet appreciation letter that made all of their fans kilig. Aira Mae Parado thinks they’re absolute cuties! Robin Padilla may not have been the fan favorite as Judy Ann Santos’ leading man, but he is the fan favorite for Sharon Cuneta. It seems that Sharon feels the same way. In an interview, Sharon has admitted that Robin has always been her favorite leading man, as well. If you’re a fan, you should know that these two actually became a real-life couple after meeting on set of ‘Maging Sino Ka Man’. In fact, they were set to be married, with Robin even asking for her hand in marriage. Alas, things happened (let’s leave it at that) and the wedding no longer pushed through. Still, the two have worked together in ‘Unexpectedly Yours’ since then, giving their fans something to be happy about, if only for a movie. Although they had met on set for James’ music video ‘Alam Niya Ba’, the film ‘Diary ng Panget’ is considered to be the debut of the James Reid and Nadine Lustre aka JaDine love team. Thanks to their immediate chemistry, they’ve been in several movies together since then, including ‘Talk Back and You’re Dead’, ‘Para sa Hopeless Romantic’, ‘This Time’, and ‘Never Not Love You’. They two are incredibly sweet to each other off-screen, with James constantly surprising Nadine in little ways: by giving her a lapdance or picking her up in a sports car. And even though they are in a relationship off-screen, they aren’t clingy. In fact, they have said before that they don’t mind starring in separate movies. Aga Muhlach and Lea Salonga were one of the biggest love teams of the 90s, having worked together on movies like ‘Bakit Labis Kitang Mahal’ and ‘Sana Maulit Muli’. They were never a couple in real life, but fans seem to have felt that they shoud have been. In 2017, fans found a love letter that Aga had written to Lea, where he called her “the one that got away,” and it drove everybody wild. Just last year, Lea also shared throwback photos of her and Aga on her social media accounts. “To this day, nakakakilig sila and how hopia Lea still is,” says Ishii Caparras. 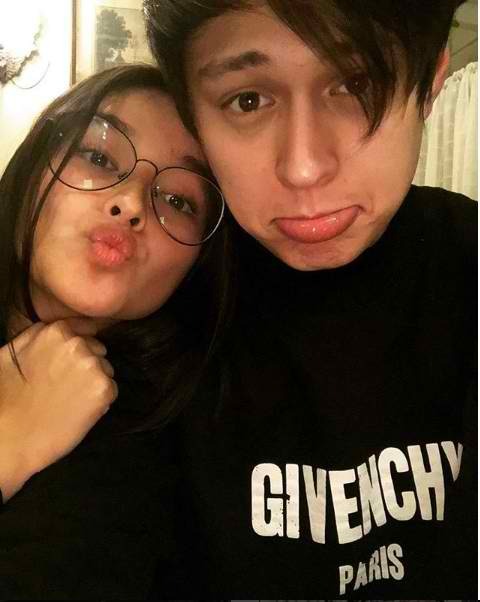 Enrique Gil and Liza Soberano aka LizQuen have been a love team for more than five years now, and it doesn’t look like they’ll be separated anytime soon. Fans love them together and have loved them ever since their love team started in ‘Must be Love’. Although Enrique only had a cameo in it, viewers already got a hint that he would end up in a love team with Liza because of it. The love team began in 2014 in the teleserye ‘Forevermore’. Soon after that, they made the movies ‘Just the Way You are’ and ‘Everyday, I Love You’, continuing to star in lead roles in both television and cinema to this day. They also continue to make their fans kilig through social media. Joshua Garcia and Julia Barretto came from different worlds, but their love team clicked almost instantly. Julia, obviously, came from a well-known showbiz fam, while Joshua was just a ‘regular teenager’ before joining Pinoy Big Brother in 2014. After starring in ‘Vince & Kath & James’ in 2016, however, fans showed a ton of support for the two, bringing them more endorsements and more gigs. If you were a kid or a teenager in the early 2000s, you’ll know all of the kilig that came with the Carlo Aquino and Angelica Panganiban love team. The two starred together on the TV Show ‘G-Mik’ and eventually became a couple in real life. Lots of drama and other partners later, the two reunited in ‘Exes Baggage’. Since they were constantly seen together outside of the movie, people had hoped for a reunion and maybe a rekindling of their relationship. However, new rumors have shown Carlo dating a non-showbiz girl and it seems like the reunion of CarGel was simply just a publicity stint for the movie. In the 90s, Richard Gomez and Dawn Zulueta were huge. Not only did they bring kilig on-screen through their movies ‘Hihintayin Kita sa Langit’ and ‘Ikaw Pa Lang Ang Minahal’; they also dated in real life. In fact, Dawn has mention that they could have ended up together if only Richard hadn’t cheated on her. Since then, the two have reunited in a movie with Bea Alonzo called ‘The Love Affair’, but Richard is now married to Lucy Torres, while Dawn is married to Antonio Lagdameo, Jr.
More commonly known as ‘Popoy and Basha’, fans simply cannot get enough of the John Lloyd Cruz and Bea Alonzo love team. In fact, their movie ‘One More Chance’ is probably one of the most-quoted and most memorable Filipino movies out there, even bringing about a sequel (‘A Second Chance’) eight years after the first movie. Other movies the two have starred in together include ‘Now That I Have You’, ‘Close to You’, ‘All About Love’, and ‘The Mistress’. Interestingly enough, nobody seems to be too interested in seeing the two of them get together in real life. They just want more movies with the two! Sadly, since 2017, not much has been seen of John Lloyd who now reportedly has a baby with Ellen Adarna. Marvin Agustin and Jolina Magdangal are two of the first names you’ll think of when you hear the words ‘love team’. The two received a lot of support back in the day, making now-jologs terms like ‘labs’ and ‘chuvachuchu’ somehow endearing and sweet. You might remember their movie ‘Hey Babe’, as well as their shows ‘Gimik’ and ‘Labs Ko si Babe’. Last year, Marvin posted a sweet birthday greeting for Jolina and later that year, Jolina confirmed that a reunion movie was in the works. Let’s hope it’s true! ‘Pangako Sa’yo’ had a real fandom back in the day, thanks to Jericho Rosales and Kristine Hermosa, the picture perfect love team. Every guy wanted to be him. Every girl wanted to be her. Every guy wanted to have her. Every girl wanted to have him. To this day, the two bring about so much kilig when their old movies ‘Forevermore’ and ‘Ngayong Nandito Ka’ play on TV. Last year, Jericho said he would be open to working with Kristine again, and we’re definitely all for it, too! One thing that KathNiel fans always say are that both Daniel Padilla and Kathryn Bernardo are so ‘nice and genuine’, and you can really feel it. We guess it helps that the two have been in a relationship for five years now that they know exactly what works and doesn’t work. Man, these two made us kilig. They made us cry. They made us feel all sorts of things. Who here doesn’t get all mushy and gooey when they watch ‘Got 2 Believe’ or ‘Dahil Mahal na Mahal Kita’? We love these two and we’ll never get sick of watching them together over and over again. Did your favorite love team make the list? 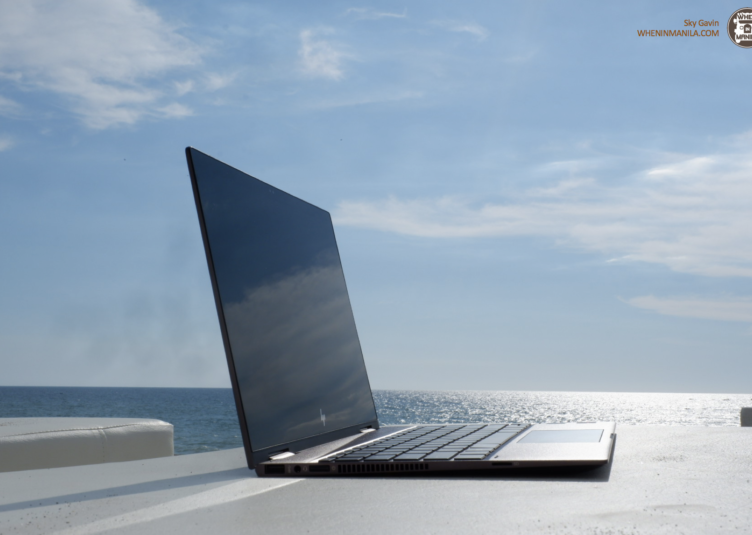 Sound off below!